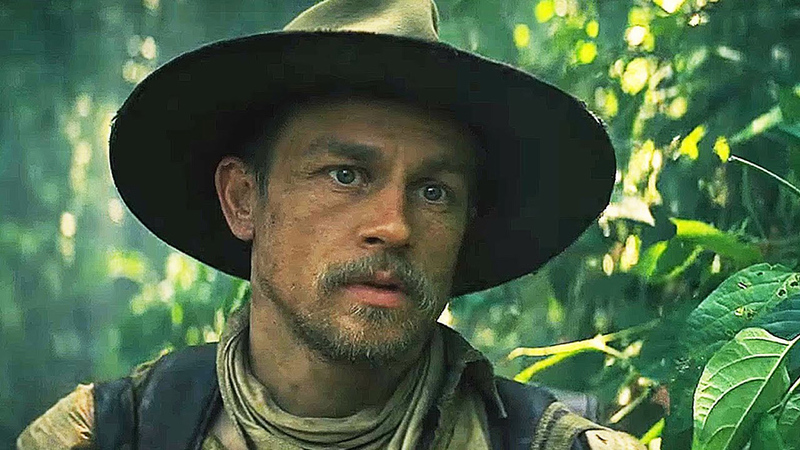 Here’s why I wish I hadn’t hated The Lost City of Z: If I didn’t hate The Lost City of Z, I would be so, so, so amped about James Gray’s upcoming Ad Astra. First off, it’s a science fiction joint, and sci-fi may be my favorite of all genres (though horror and face-kicking are also in the mix). Second, almost daily as of late, it keeps adding incredible actors to the call sheet. The latest, according to The Hollywood Reporter, is Donald Sutherland, who rules and has been ruling for more than 50 years (probably longer, but that’s when his acting career began). He joins a cast that already lined up Brad Pitt in the lead; Ruth Negga, who, between Preacher, Loving, and a ton of other stuff, is exploding everywhere, not to mention generally awesome; and Tommy Lee Jones, who I can’t wait to see in another sci-fi role. Beyond that, Ethan Gross co-wrote the script, and while he’s not a household name and doesn’t have a huge resume, he has one very key credit as far as my interests go. He served as a writer and story editor or Fringe, which is not only one of the best sci-fi shows of all time, it’s simply one of my all-time favorite television shows. There’s not a ton of detail about Ad Astra’s story, but it’s described as an epic adventure that follows an Army Corps engineer across a lawless galaxy as he searches for his long-lost father, a loose-cannon scientist who disappeared while looking for alien life 20 years ago, but who also now poses a huge threat to humanity. Sounds like a space western, and I am so, so down with that. I should be all over this; I want to be all over this. I should be pulling my hair out on a daily basis while I wait for Ad Astra to fall into my lap. But I’m not. Not yet anyway. Every element in this sounds damn near perfect. Every element except one: James Gray. It takes a great deal to dampen my enthusiasm for an awesome sounding sci-fi film, but The Lost City of Z did. It forced me to face some hard truths, and one of them is that I don’t think I care for James Gray much as a filmmaker. Looking back, I liked Little Odessa well enough, though I haven’t watched it since 1994 and have no compulsion to give it another go. We Own the Night is fine, The Immigrant is fine, everything else is fine. But The Lost City of Z is the film with the most direct correlation to Ad Astra. And not simply because it’s his most recent, though that does play a part. Z is easily his biggest, grandest attempt at filmmaking in scope, scale, and budget. All of which will likely come into play in a big sci-fi saga. Certainly many other people saw an epic, sweeping adventure. I vehemently disagree—I saw a dull, tedious slog without a whit of grandeur or a hint of adventure, one that looked like a muddy brown smudge. Intended as a chronicle of a man driven by obsession—which sounds like it plays right into Ad Astra’s hands—none of that comes through. Plenty of folks probably look at Z as a perfect precursor to Ad Astra. Hell, I’m sure I would, too, if I had seen the same movie everyone else saw. If I witnessed the grand, swashbuckling journey that’s apparently hidden in there someplace, even just a glimmer of what other people experienced, Ad Astra would be near the top of my most-anticipated movies list, easily. I’m certainly going to see Ad Astra, and I’m certainly going to give it a fair chance. But it’s been tough to whip up much internal fervor. Maybe by the time it comes out, my disdain for The Lost City of Z will have subsided—but goddamn, at this moment in time, I wish almost any other filmmaker was at the helm. I certainly didn’t intend to write this much, or write a hit piece on James Gray, who I’m sure is a lovely person. This started out as a casting story about Ad Astra. It’s mostly me working through my feelings on a film by vomiting words on page. And hell, like three people (maybe) are going to read this, so I don’t know why it even matters.